Chief Minister Virbhadra Singh attended music festival ‘Sangeet Hamari Virasat’ organized by Himachal Pradesh Music Students Welfare Association at Gaiety Theatre Shimla. While speaking at the function Singh said that Himachal Pradesh is a rich repository of art, culture and traditions and the State Government was committed to preserve and further promote it and youth can play a vital role in this direction. 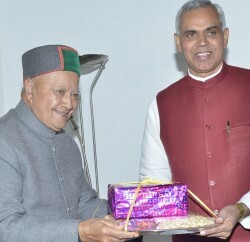 Virbhadra Singh said that music was food for the soul and Himachal Pradesh was universally acclaimed for its diverse folk songs and versatile music. He said that music knows no barrier and apart from human being it has equally soothing effect of plants and animals. He said that efforts would be made to impart music teaching in schools of the State. Chief Minister said that youth were key player in the process of development and the State Government would empower them with positive perspectives so as to fully harness their potential. He said that the State Government was ensuring 70 per cent employment to youth of the State in all the upcoming power, industrial and tourism projects in the State. He said that action would be taken against those implementing agencies defying this decision of the State Government. He said that it has been the endeavour of the State Government to provide appropriate educational and skill development facilities to the youth. 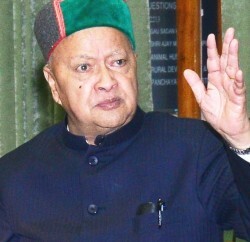 Virbhadra Singh said that providing adequate employment and self-employment opportunities to the youths of the State was the prime concern of the State Government. He said that the State Government has decided to provide ‘Skill Development Allowance’ of Rs 1000 per month to 10+2 and above educated unemployed youth. This rate would be Rs 1500 per month for persons with disabilities, he added. He said that in addition, Interest subvention of 4 percent would be given on project cost up to Rs 1.50 lakh. Virbhadra Singh said that a ‘State Skill Development Council’ would also be established in the State to enhance professional skills of the youth. He said that the State Government has enhanced the minimum period of private Universities in the State form 25 years to 50 years to safeguard the interests of the youth. Chief Minister said that the State Government has decided to impart training to 1000 youth as ‘Tourist Guides’ so as to associate them with tourism promotion activities. He said that 3900 youth would also be imparted driving training so as to ensure self-employment opportunities to them. President Himachal Pradesh Music Students Welfare Association, Rajesh Chauhan welcomed the chief guest and raised the demand to include music in schools since 6th standard onwards. A play ‘Save Music’ written and directed by Munish Sharma, ‘Kathak’ dance, and ‘Pahari Nati’ performance and other cultural performances based on folk and classical music was well acclaimed by the chief guest and the audience. 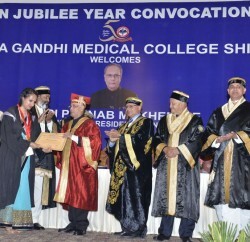 General Secretary Himachal Pradesh Music Students Welfare Association Seema Sayal presented vote of thanks. Dr Hukam Sharma scrupulously conducted the programme. Chief Parliamentary Secretary, Vinay Kumar, Prof. A.D.N Bajpayee, Vice Chancellor, Himachal Pradesh University, Professors of Music Department of Himachal Pradesh and music lovers were present on the occasion.